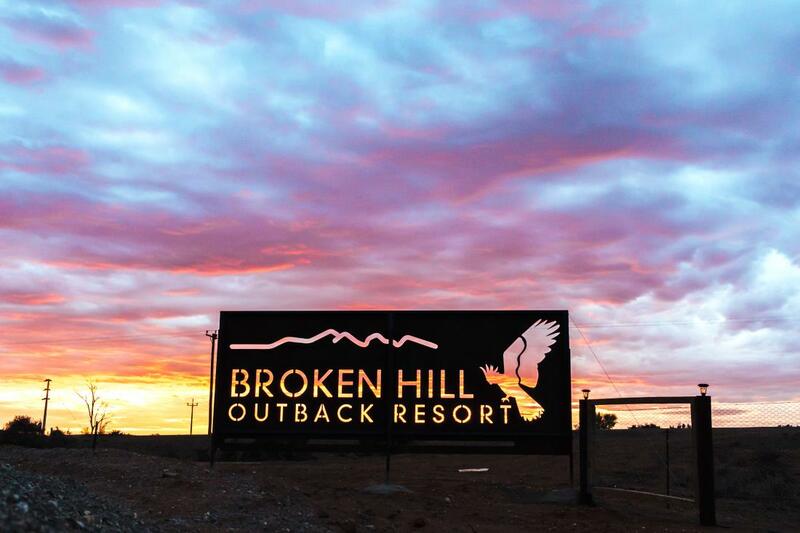 The new $5 million Broken Hill Outback Resort has marked the unveiling of its new deluxe spa cabins, nestled in the Barrier Ranges, with an opening package offering a free dinner with wine. Outback NSW tourism company, Out of the Ordinary Outback, soft launched the resort, 13km east of Broken Hill, in September, 2018, with 40 camping and van sites but the completion of the 12 new spa cabins this month marks an official ‘coming of age’ for the ambitious project. Another 12 cabins will be completed by mid-2019. At the centre of the resort is the historic Mt Gipps Hotel, which was built in 1890 and popular with miners, soldiers, artists and travellers before closing in 1987. Out of the Ordinary Outback bought the abandoned hotel in 2015 and has completely restored and renovated the neglected heritage building, with the re-inspired ‘watering hole’ and its cool, wrap-around verandah already popular with locals and outback travellers for its cold beer, great meals and scope to relax and absorb the beauty of the outback. Perfect as a base for exploring the Australian outback, Broken Hill offers art galleries, famous festivals and a rich mining history, and the new resort is located close to Outback Astronomy, where guests can learn more about the extensive canopy of stars above. The resort is also an ideal spot to enjoy sunrises and sunsets over the rugged mountain ranges. While at the resort, guests can explore the region with Out of the Ordinary Outback’s local 4WD touring arm, Tri State Safaris, which can take visitors to the famous ghost town of Silverton and the rugged scenery and rock art of remote Mutawintji National Park. To mark the opening of Broken Hill Outback Resort’s cabins, Out of the Ordinary Outback is offering a special package offering two night’s accommodation in the new spa cabins and one dinner, with the second dinner free along with a bottle of wine. The deal is available for $430 a couple. A one-night deal is also available for $215, including dinner for the first person and a free dinner for the second. Valid for stays until August 31, 2019, and conditions apply.